I Have A Dream Speeches! 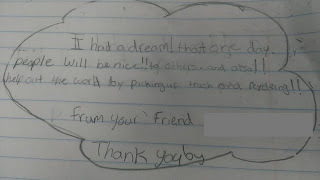 Today at the school the kids wrote their own Martin Luther King, Jr, “I have a dream” speeches. The first written speech that I saw was by a ten year old girl named K. I felt touched by her writing, so I asked her if I may snap a photo. Both K and the class instructor were all for it. “My dream is that people that don’t have a roof to live under, have one so they don’t get dirty. Also, everyone I want to have food to eat and to clean the world so we can have a better place to live in.” Thank you K. You are awesome. I agree with you. The other speech was written by E. I only took three photos. That was enough. 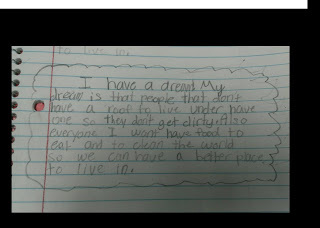 What is it like for a fourth grader to grow up with these thoughts? Does this affect learning? Does it affect his growth? How can we help? 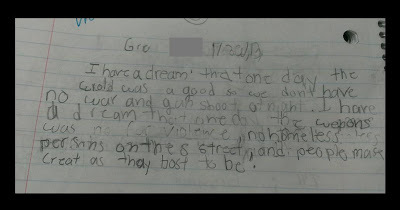 E has a “dream that the world was good,” and a dream that “there was no gun shooting at night.” Read this. We can help. Be a great example. I think E says in the end, “people are as great as they can be.” Start today, be great and increase greatness. Here is the third one by D. D loves to learn. What she really loves is someone to teach her. Even more accurately she looks for the safe connection with a caring adult. 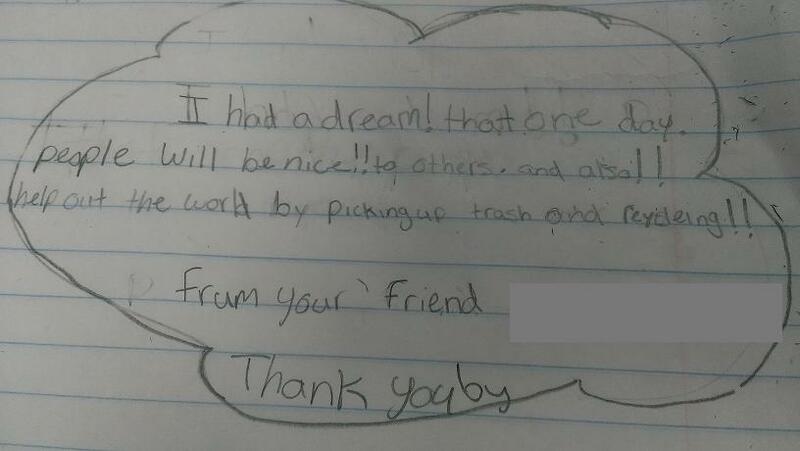 This is a I Have A Dream Speech by Ten Year Old Homeless Girl written by D, a young girl in a school for homeless children. 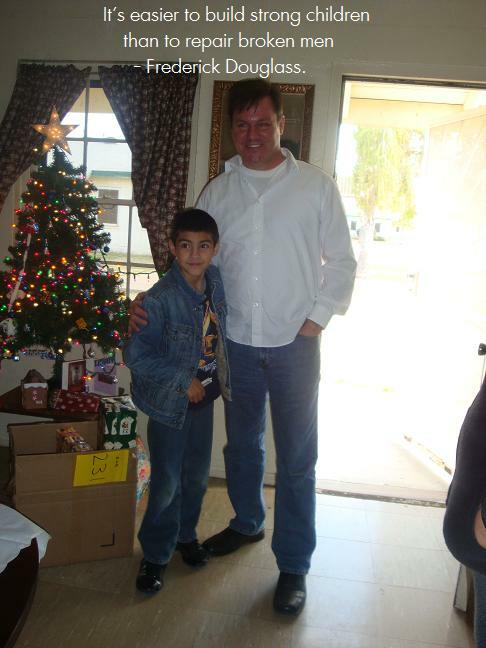 That one day people will be nice… It sounds simple, but if people could be nice. Thank you D. You are right. There is a lot going on with these kids. That is, there is less stability. So, learning is affected. There is not an regular evening meal with mom, dad and family. The meals come from different places if they come. As E said, there is gun shooting at night. This creates fear inside, which is going to take away from learning.